This is where it starts if you want to create a multi-module controller. The MM-1 emulates the experience of a 4-channel DJ mixer, with high quality professional faders, output metering, channel cue selection, 4-band EQs, and master/cue control. 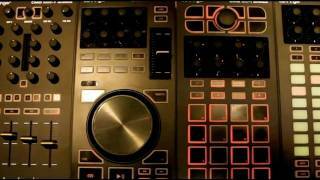 These features are laid out just as they would be on a traditional DJ mixer, so you instantly feel comfortable. But since the MM-1 is also a powerful MIDI controller, we kicked it up a notch and included support for scrolling through your song library (or scenes in Ableton Live) and navigating your file system. Since all buttons and encoder rings respond to MIDI feedback, you’ll always know at a glance when something changes in your software. So, it’s a great mixer-controller – but what makes it a good backbone for a multi-module MIDI controller? The lack of available USB ports is a common problem for many DJs, so we incorporated a powered 4-port Multi-TT hub into the MM-1. It’s USB 2.0 compatible, so feel free to use it not only for other MIDI controllers, but also for hard drives, audio interfaces, or even gooseneck lamps. And since it’s a Multi-TT USB hub, you get full speed from each port. You never have to worry about finding the right powered USB hub for your DJ or production work – we took care of that for you. Whether you’re using it in standalone mode or as the center of a custom CMD setup, the MM-1 provides high quality, flexible MIDI control at a price that makes it an easy addition to your current setup. Considering purchasing the Behringer CMD MM1? Have questions? Ask people who've recently bought one. Do you own the Behringer CMD MM1? Why not write a review based on your experience with it. Seen a video for Behringer CMD MM1 online or have you own video? You will earn 234 loyalty points with this product worth £0.59, when logged in. 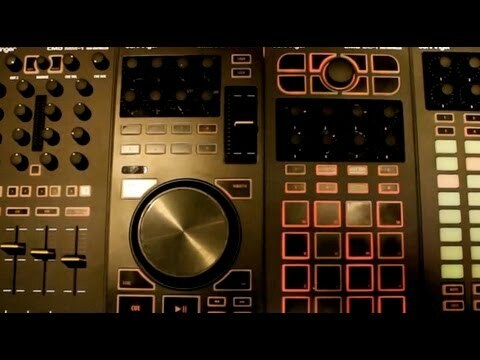 Check out Behringer CMD MM1 on DJkit.com!